eat run sail: Patience... Yeah I am Finally Claiming That Virtue! Patience... Yeah I am Finally Claiming That Virtue! I did not make any New Year's resolutions for 2017. 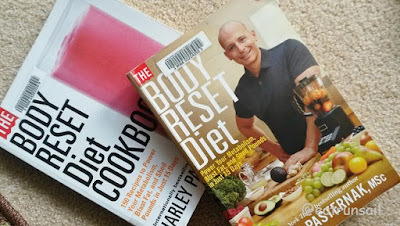 I am always open to new challenges as they present themselves and like to follow up on new ideas and fitness/food trends to see how they fit me so I don't like to lock myself into long-term resolutions. I was planning to start the 12-week Metabolic Prime workouts again on January 9th along with The Captain. 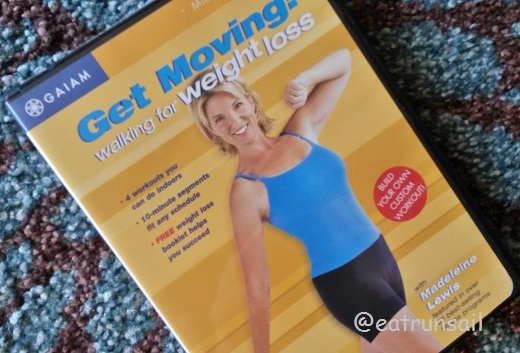 We have been through the program once, and really liked it so thought we would start again, with a large group in a challenge organized by founder Jade Teta... but it was not to be. A couple of days before the end of the year, I was hit hard by a nasty virus that seems to be going around my city right now. It has been mostly a head cold, with a non-stop runny nose and a bit of coughing... but more than that, for about 8 or 9 days it left me as weak as a kitten and I could barely sit up for more than a few minutes at a time. Of course The Captain caught it from me and has been a couple of days behind me in getting over it... some symptoms linger even now. So, the theme for the month of January has been PATIENCE... never my strong suit. Nope, not me. I have never been one to call this one of my virtues. As a matter of fact, I always like to say that my older sister got it all and there was none left for me. She has it in abundance... to the point of being annoying at times. But I am quite pleased to report that it is something that I have learned... through no choice of my own... these past few weeks. In the past, on the very rare occasions when I have been ill, I have always just chomped at the bit to get back to my normal activities and pushed myself to my physical limits at times, to get back to running, to working out, to get on with my daily activities. But not this time. I allowed myself to rest, to sleep, to watch endless hours of Downton Abbey on the television... and to sleep some more. And I think it has been really good for me to take the time I needed both physically and mentally to get over the illness. I have been paying attention to the signals my body is sending and being really mindful of how I am feeling and reacting. 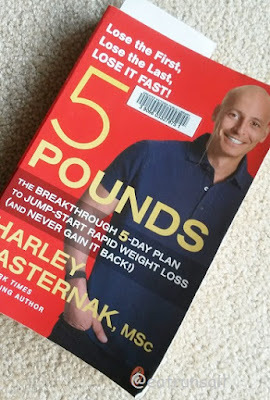 When I started to feel better, I began reading some nutrition books by a Canadian trainer named Harley Pasternak, and found that his food and exercise philosophy suits me quite well. It is mostly common sense I think. I have been making sure to give my body the proper nutrition and fuel it requires. And I began very slowly with my exercise again... from having no stamina to doing some short outdoor walks when it has been warm enough.... some more vigorous indoor walking and stretching and lower body work with just body weight so far on colder days. And I am ready to begin the Metabolic Prime workouts again.. or will be by Monday... so only a week behind the group. And I will approach it gently but with enthusiasm. What kind of start has your new year had? Any new lessons learned so far? and now? are you all all all on the mend? this year has been trying to freeze me out and keep me inside, but I am not afraid of running in the cold :) I just don't enjoy it as much is all. Glad you are feeling better. I didn't really set any resolutions either, just intentions and mantras to live by. I'm glad you're feeling better. Slow and steady is the way to go! It seems this winter is the year of nasty cold/flu. I was sick in December and it took 5-6 weeks to feel better. All the best with your workout plan! Great to hear you're feeling better ;-) It's hard to listen to the body when the mind has a different agenda,but always worth it. Patience is tough. Once I am ready to do something I want to get it done! Hope you are feeling better now. Glad you are starting to feel better. I know I'm often guilty of trying to push my recovery. Hope you're feeling better this week! Colds are going around here too, including fighting off one myself. Today I made a big pot of soup and that is helping some. Have a great week! So glad you're feeling better! I was sick for Christmas but better by the New Year. I did not rest like I should. I ran sick which is probably why it took me so long to get over my head cold. I am so ready to race again but I like you, need to be patient. Have a great week! I'm not a patient person at all. Especially when it comes to being sick! Blah! So sorry to hear you and the Captain were both sick. Sounds like a doozy. Kudos to you for finding the silver lining. Sitting still is tough sometimes but there are definitely rewards. I wish I had more patience! When things run behind or surprise me, I panic! Ugh, I'm sorry you've been sick. The big illness around here seems to be the norovirus. People are getting that stomach bug in droves, and it just wrecks you. Yuck. The year has started slow but steady. I have some making up to do, but it will come. I think this week will be a better week for you! Patience definitely is a key virtue in life. Glad you're embracing it! Glad to hear that you're starting to feel better. Patience is really hard to practice, but something that we all need to do. I am glad you are feeling better! The new year starting a little rough but I am making a rebound :) Slow and steady!